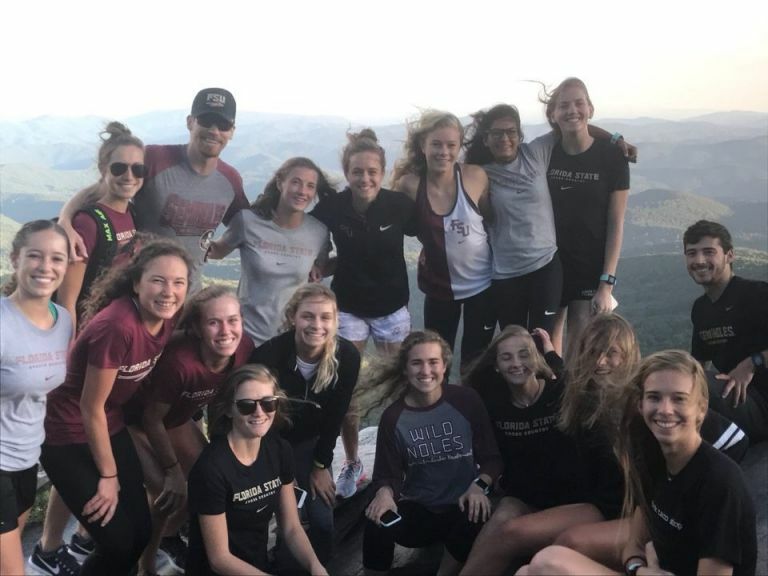 Florida State Seminole women’s cross country is getting back in gear, and we started the season off with our preseason camp in Boone, North Carolina. Four vans and 10 hours later we finally made it to our destination. 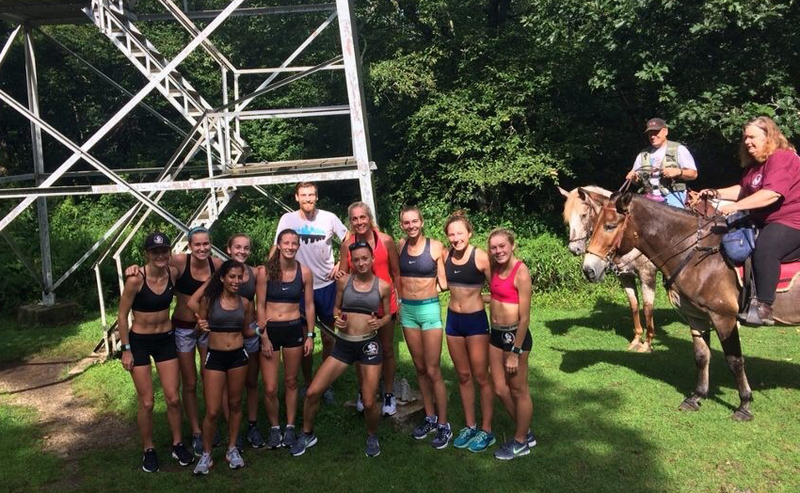 This trip is definitely a team favorite, especially since it gets us out of the Tallahassee heat! Afterward, leg care was extremely necessary. Our “treatment room” in the hotel was full with each of us getting flushes [massages] from our athletic trainers, rolling our legs, using the NormaTecs, and lots of stretching. The next few hours were blocked out for naps and lunch at Panera with a short hike planned for that night. 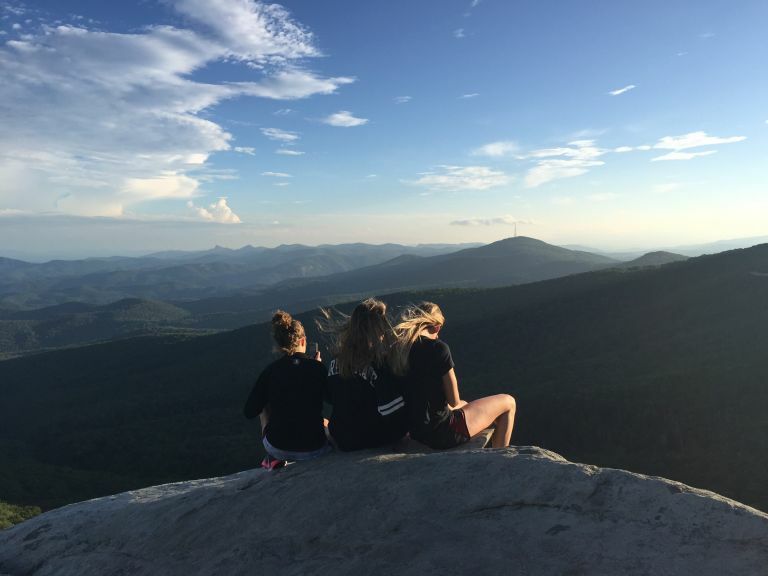 With satisfied stomachs we were ready to see the amazing mountain views in Boone! Luckily no one lost their hats this year from the super strong winds, and despite hair flying all over the place we got some good pictures. Not too long after the hike everyone was in bed to get good rest for the long run the next morning. At 7 a.m. we all piled into the vans to head to the Virginia Creeper Trail. We followed our long run with a plunge in the [cold] river and drove back into Boone for breakfast. Breakfast quickly turned into lunch, since it was student move in day at Appalachian State University and the town was a little busy. The team voted to return to one of our favorite breakfast spots – Melanie’s. It was a long wait and we had some hangry bodies, but their food is always superb. Once again it was time to recover our legs and take naps because everyone needed to rest up in order to prepare for team Pictionary that night. Three teams of six battled in a fierce competition and the losers were given punishment of push-ups and sit-ups. Unfortunately, my team lost both games and we were given two rounds of punishment, but team SQUAAAAAAD will return victorious next time! Sunday was an easy recovery [run] day followed up by more naps. Clearly naps are a vital routine for our group. 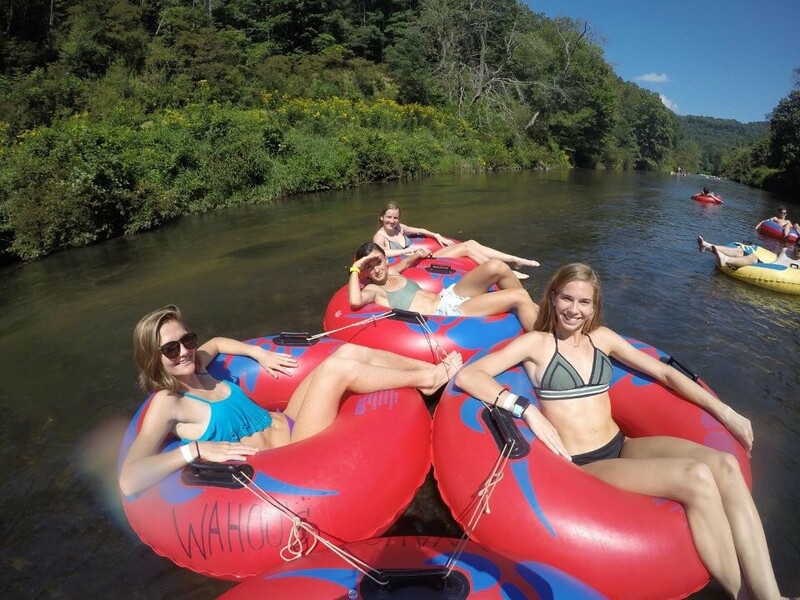 Later that afternoon we joined the men’s team to go tubing down the New River, and our teams faced off in a game of keep-away. No mercy applies in this competition, and tubes were flipped and thrown to maintain possession of the ball. One member of our team, Addi Coggins, even lost her shoe and after a solid search we considered the 50-cent flip-flop a goner. This float ride was having our team pretty hungry as we neared the end, and Maudie Skyring asked a friendly group if they had any food in their cooler. Surprisingly they did and offered us lots of snacks! She might have only gotten away with it because of her Australian accent, but regardless we were all ecstatic to have something to tie us over. Our trip was coming to a close, and with an early morning workout we all packed up our things to get ready for the long drive home. The vans were full at 6:30 a.m. sharp and we departed for our final run in Boone. In an effort to avoid traffic from the solar eclipse, our coaches decided to have us not return to the hotel to shower after practice. That left us with a few towels, wipes, deodorant, and some perfume to try and rid some of the stench before being stuck in the vans for the ride back. Needless to say, those vans did not smell too good! It was a definitely a great first few days back with the team, and we can’t wait to return to Boone in two weeks for our season opener!